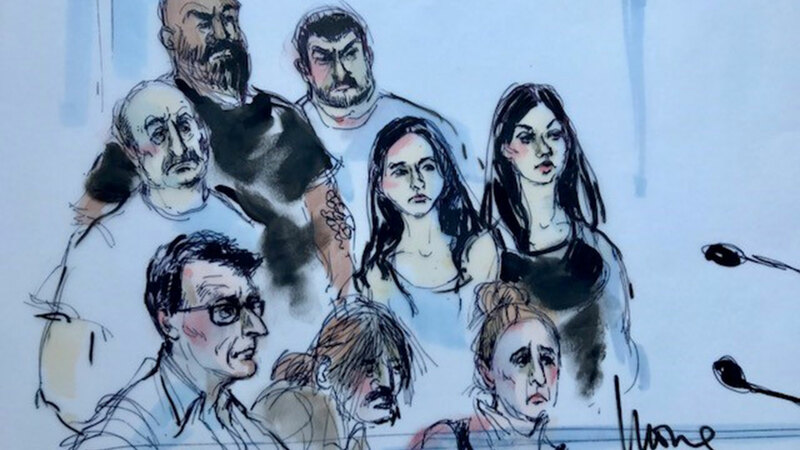 LOS ANGELES (KABC) -- A dozen people were arrested on federal drug charges for allegedly operating sham medical clinics that sent some 2 million prescription pills to the black market, authorities said. The alleged leader of the scheme, Minas Matosyan of Encino - also known as "Maserati Mike" - paid doctors to issue fraudulent prescriptions, authorities said. In some cases, when doctors refused to go along with the scheme, the conspirators forged prescriptions in their names without their consent, officials said. The scheme was carried out through a series of clinics that moved around and opened and closed. Authorities allege Matosyan would recruit doctors and then rent them out for payments from the sham clinics based on the proceeds of the fake prescriptions. In one case, court documents say, Matosyan provided a doctor to a clinic in exchange for a promise of $120,000. The clinic didn't pay and then told him to take back the doctor. He continued to demand the money and authorities say he told the clinic operator: "Doctors are like underwear to me. I don't take back used things." -- Matosyan, 36, of Encino, who is accused of leading the scheme by recruiting corrupt doctors, overseeing the theft of other doctors' identities, and negotiating the sale of fraudulent prescriptions and narcotic pills. -- James Wilson, 54, of Venice, who alone is charged in the second indictment with illegally selling oxycodone prescriptions out of a Long Beach clinic that he controlled. Authorities are continuing to look for two additional defendants named in the indictment. One was identified as Gary Henderson, 62, of Lancaster, now a fugitive who is accused of purchasing fraudulent oxycodone prescriptions. The other is an unidentified suspect known only as "Cindy." Authorities say Matosyan faces a maximum of 165 years in prison if convicted of all charges.